At Land Surveyors Perth every survey crew sent to a site will contain a standard kit of tripods, pogo poles, hand tools and consumable items such as pegs, flagging tape, nails etc. Depending on the site conditions and accuracy required on site, the main equipment in a standard set will either be a Total Station (TS15) or a GPS. A digital level used for high accuracy levelling will commonly be included too. Also depending on the project size and personnel required on site, there could be a number of both Total Stations and GPS on site. When surveying is required to high accuracy, the Total Station is used and the most common model with Land Surveyors Perth is the Leica TS15. This will shoot accuracies of up to 0.5mm in ideal conditions. Whenever a Total Station in used on site, traverse kits are needed. A traverse kit consists of two tripod-mounted round prisms. The prisms are required initially with the Total Station to establish control points around the site. Once the control points are in place, these prisms are then required for every set up of the total station in order to calculate the position where the total station is positioned. This is completed by a method or triangulation. The GPS is used on sites which have accuracies of closer to 10mm in position and height. Control points for the GPS are usually set up in the same manner as described in the previous paragraph. Once control points are in place, the GPS can work on its own without the use of any other hardware. An option to use with the GPS is a repeater. This will increase the range of how far the GPS rover can work from the GPS base. Depending on the OGS model used and the size and nature of the site, repeater units may or may not be required. The Leica Sprinter 250M is a Digital Level capable of accuracies of 0.7mm. This accuracy will satisfy most high precision needs on any site. Used with this level is a barcode staff, which is how the digital level computes reduced levels to such accuracy. 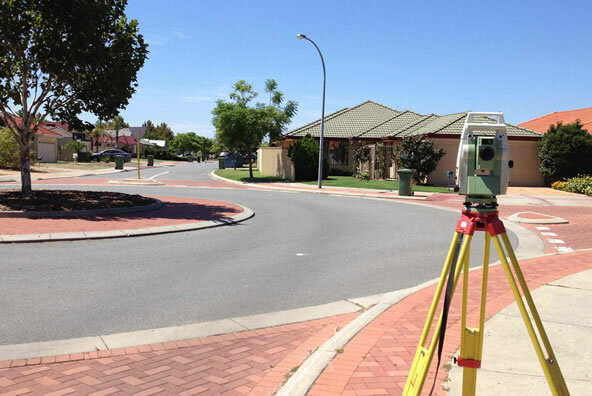 Land Surveyors Perth are always equipped with the latest Leica equipment to ensure all surveying jobs are completed accurately and efficiently satisfying all clients.